We must accept our reality as vastly as we possibly can; everything, even the unprecedented, must be possible within it. This is in the end the only kind of courage that is required of us: the courage to face the strangest, most unusual, most inexplicable experiences that can meet us. In the spirit of seeing the beauty in every thing. Here’s one for optimism. A friend once commented that I love to love un-POP-ular music. Which mostly means songs you won’t be familiar with just by listening to the radio. That’s true, for no particular reason other than my never-ending search for songs that could feed my need for words and melodies that go together well and mean together well. Having said that, I’ve added a new playlist in the Music section just because my sisters suddenly had this downloading frenzy of old musicals over the weekend. I, being the one who introduced them (at least I’d like to think so) to that wonderful, wonderful world, couldn’t help but get caught up despite my seeming nonchalance. This is not the usual Disney story of happy ever after. In brief, the mermaid becomes old enough to swim to the surface, and saw her first human (she fell in love with the prince); the prince fell to the waters, the mermaid saved him and brought him ashore before hiding; a beautiful princess found the prince, the prince and the princess fell in love; the mermaid gave up her voice in exchange for a pair of legs (her contract with the witch requires her to make the prince love her; otherwise, she’ll die); the prince met the mermaid, unaware that it was she who saved his life, but he had nothing but brotherly love for her; sympathetic to her fate, her mermaid friends made a bargain with the witch to allow her to return to the sea – but for that to happen she would have to kill the prince; unable to do this, the mermaid sacrificed her life by falling back to the sea and turning into foam. Well, the musical had a lighter ending than the book. Here, the mermaid acquired a soul for her sacrifice. In the book, she had to wait 300 years. Her eternal destiny lies in the power of mankind’s children – once dead, the mermaid becomes a daughter of the air, who enters the house of men unseen. For every good child she finds, her probation is shortened; for every naughty/wicked child, a day is added to her time of trial. Heavy stuff, whew! What I appreciated most about the musical is the fact that the entire production was written by and for Filipino artists. Beautiful music. I hope they’re still doing reruns. From the April Issue of People Magazine, here’s a picture of the Agassi family preparing to ski on the slopes of Idaho (click to enlarge). Fairmont Tamarack is a joint venture development between Andre Agassi and Stefanie Graf’s Agassi Graf Development and Bayview Financial, L.P.’s Real Estate Investment Group. The first 125 pre-construction units were released last month, selling out in fewer than seven hours. I don’t know about you, but I’d most definitely look out for this. The Andre Agassi story. The life story of a tennis legend. Terms were not disclosed but the deal was closed at an estimated $5 million by the guys who also published a biography of former U.S. President Bill Clinton. Now, this isn’t a movie review. 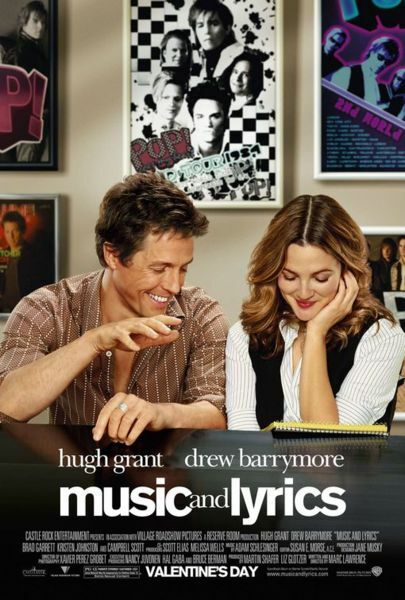 But, hell yeah, I recommend Music & Lyrics to anyone who’s looking for a nice, simple comedy that lightly touches on matters of the heart. The carrier song, so to speak, of the soundtrack is a three-minute song Way Back into Love. It’s the song the two characters labored on for most of the movie. Music by Alex Fletcher (Hugh). Lyrics by Sophie Fisher (Drew). Get the drift? And did I mention they fell in love? Oh, well. I’ve dreamt about writing songs. Watching this film reminded me of that. They made it look easy; now if only I can do melodies, too. Or maybe I can find my own Alex Fletcher. I’ll be his plant lady. If I have the choice and resources, I’d like to make myself useful for a greater majority, too. Not in any way political, but much like in the manner of people like Andre Agassi. He’s been blessed with a lot and is now sharing them with underpriviledged children in his hometown of Las Vegas. He opened there a charter school, The Andre Agassi College Preparatory Academy, in 2001 in an at-risk neighborhood. The first senior class will graduate in 2009. Here’s the link to the news story.